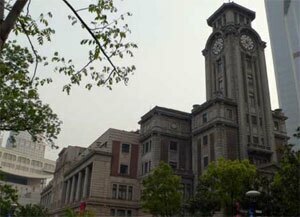 Shanghai art museum is on People’s Square, in a majestic old building that was once the Shanghai Race Club. It’s worth visiting the museum just for the building, with its sweeping wooden staircases and marble interiors. Renovations and restoration have created an impressive art gallery, with twelve exhibition halls over five floors, and an overall area of 6000 sq m.
Every two years, in September, the Shanghai Biennale shows some of the best Chinese and international art around. Meanwhile, excellent exhibitions include modern and traditional fine art. They have an excellent collection of the best contemporary Chinese art as well as regular quality international exhibitions. There is an good collection of paintings and sculptures from the glamorous 1930s. Exhibitions reflect the current art scene in Shanghai, which is thriving. There are also well-equipped lecture halls, meeting-rooms, libraries, art databases and art workrooms for academic or educational activities. A nice rooftop restaurant and bar provides great views, and it’s worth visiting the art bookstore and Museum shop. Summary: This is a large art museum for collection and exhibition of art masterpieces, while performing many functions like holding academic researches, organizing art communications and exhibiting all kinds of artistic works.